We have fabulous board game to take a look at this month; here’s our Dixit board game review. 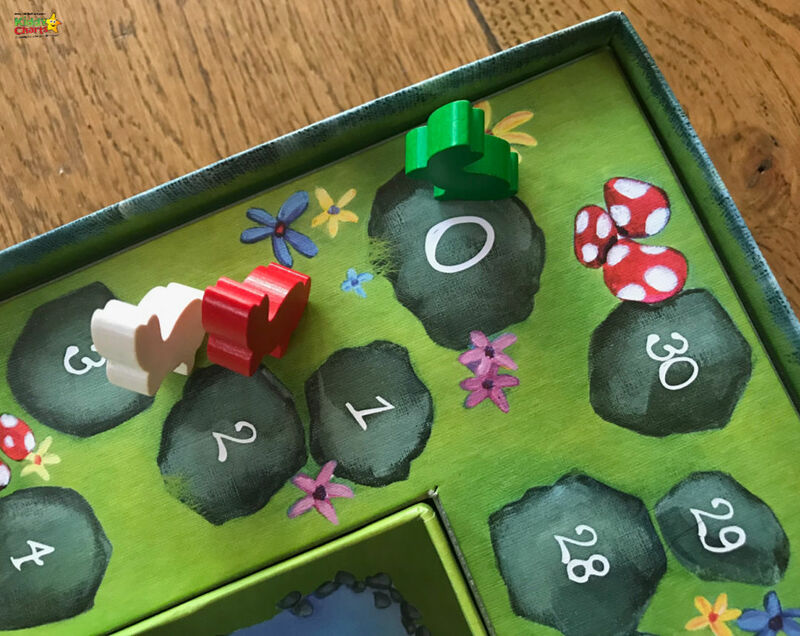 This is a very colourful and striking board game from Libellund that is designed to improve kids imaginations, and descriptive skills, as well as problem solving and simple strategy. This is a beautifully illustrated card game, with a scoring board included with it, alongside voting token for gameplay. The game comes with rabbit tokens, and a set a gorgeous cards to create your stories with. In summary though, every player has six card, and take it in turn to be active. When a player is active, they choose a card to describe from their hand, which is then displayed with a card from all the other players. The active player aims to describe their cards in such a way that some players, but not all, can work out which card is from the active player. All the other players have to choose a card too that best “fits” with the description the active player gave. Scoring is more advantageous when only some, rather than all, player guess the active player’s card correctly. The winner is the first to 30, or the player with the highest score when all cards are exhausted. 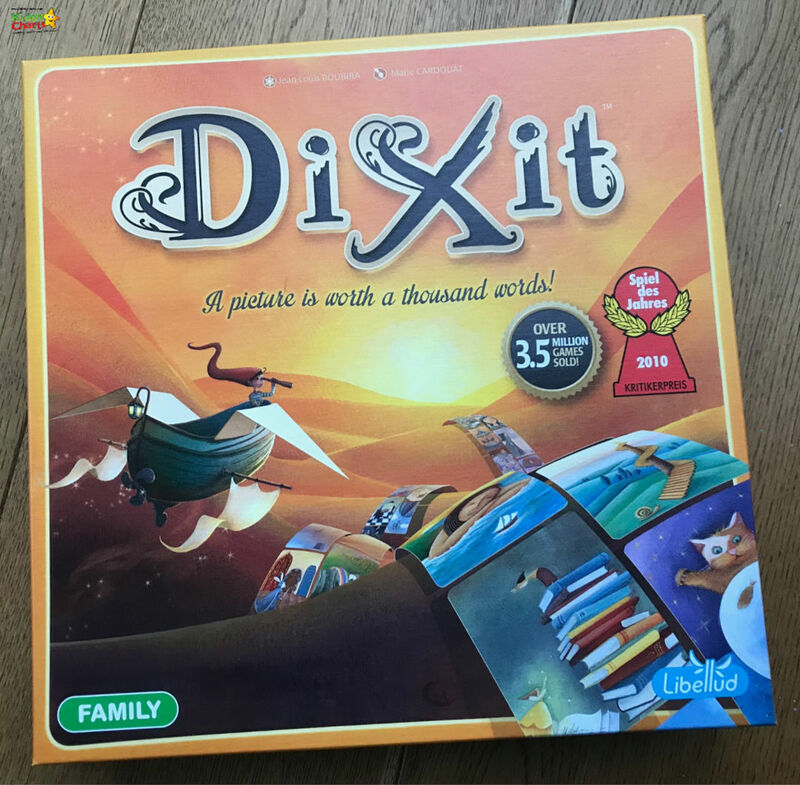 What did we think of Dixit? This is a stunning looking game, and with the expansions available, covering Revelations, Daydream, Quest, Memories, Journey, and Origins, there is a lot of gameplay available for it. The original cards are limiting though, and it is worth investing in an expansion to keep longevity. Particularly with older children, having only the single set of cards is likely to reduce gameplay options. 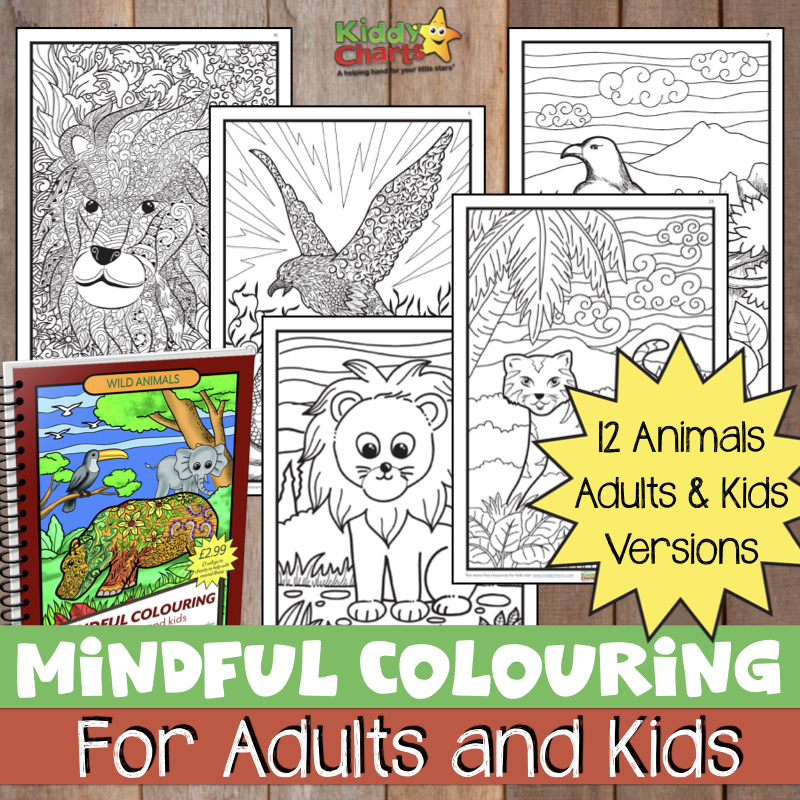 The game itself is a lovely idea; encouraging story telling, and imagination in children. However, when we played the game; we found that it was difficult to come up with descriptions for the cards that ALL the players were able to guess. This meant that it was hard to get a clear winner, as because of the way the scoring worked, everyone largely followed the same scoring path. It is likely that after playing the game a few times, descriptions would improve, and this might be solved. But the initial limitations put the family off trying to play too many times, so sadly we haven’t been able to explore this. Perhaps your family will be less impatient! Some of the illustrations are a little “odd” too; so we can imagine that for younger players, they may struggle. The kids were a little confused by some of the images, and couldn’t work out suitable descriptions. Perhaps they just weren’t imaginative enough though! Or perhaps for the older kids, something a little more cryptic. But even with the subtle clues (or we thought they were clever anyway) – the kids were getting it right all the time…. We totally accept that this isn’t the case for everyone, and judging by the reviews on Amazon, a lot of people disagree. We imagine that it’d be a lot of fun for others, but we are reviewing from a personal perspective, so for our family, it wasn’t our favourite game, but we can see how it’d be entertaining for others. 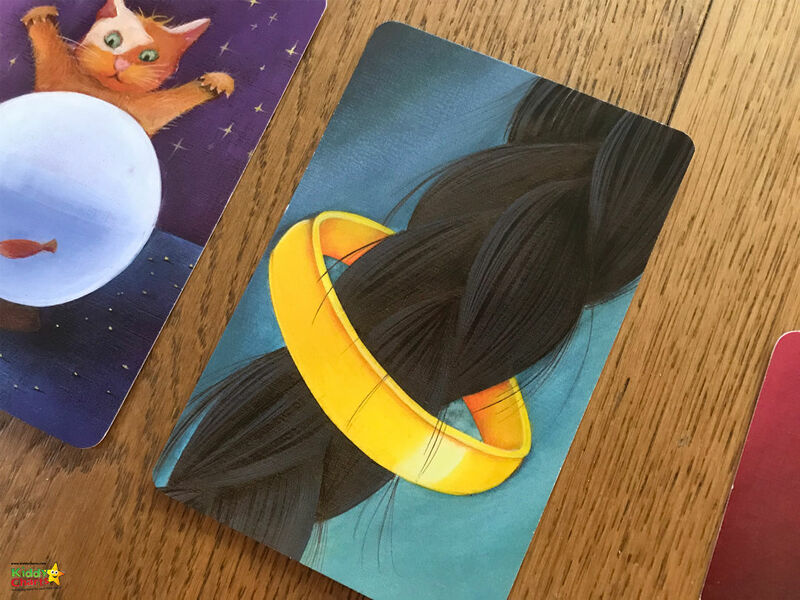 We hope you like our Dixit board game review; do check out our other articles, including more board game reviews, printables, and great parenting tips. If you like what you see, do subscribe to our weekly newsletter as well. Thanks for coming to see us today, and hope to see you here again soon.